The Syrian army frequently finds Western and Israeli-made munitions, armaments and equipment in weapons depots abandoned by militants and terrorist groups. Syria's official news agency, SANA, has published a video showing recent findings by the Syrian army in the province of Daraa. While conducting mop up operations, it discovered several weapons caches left behind by militants and terrorists full of armaments and ammunition. 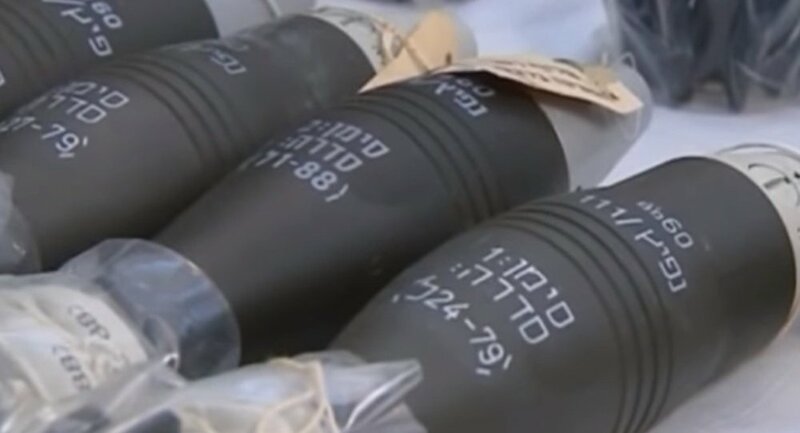 Some of the bombs that were found were reportedly made in Israel. Apart from that, a number of anti-personnel mines, rocket-propelled grenade launchers, machineguns, automatic rifles, chemical substances used to make bombs, as well as telecommunication devices were found in the caches. This is not the first time that the Syrian army finds foreign-made weapons in caches and depots set up by militants. On August 8, Syrian authorities said that they had found sniper modifications of FAL rifles produced in unspecified Western countries and Israeli grenades left by terrorists in northern Homs. In July, militants from Daraa province handed over their weapons under a truce agreement. Some of the weapons, such as TOW launchers, were produced in the US.